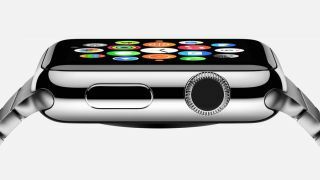 We knew Apple was planning on launching its first smartwatch in early 2015, but we'll get to see it in March according to 9to5Mac. It cites multiple of the classic 'sources in the know', who suggest the watch will hit shelves in the US in March. While this is an all-new class of device for Apple, the company tends to release its gadgets in as many territories simultaneously as it can muster these days. It seems unlikely that it'll just be the US getting the chance to buy one. The sources suggest key figures from Apple Stores will head to Apple HQ between February 9 and 16 to get schooled-up on the Watch in preparation for the retail release. Apple can't have its store hands seeming like anything less than geniuses, can it? The lucky few reps to make the pilgrimage to Apple's offices will then be charged with preparing the rest of each store's staff for the March release. 9to5Mac is keen to reiterate that this plan may change, and that any delays in finalising the Apple Watch's software could see the March release date slip later into the year. The Apple Watch also represents a massive production effort: not only are there two different sizes of watch face, there are several colour and strap options too. Still, bring on March we say.